Some of my favorite movie characters are iconic monsters. Getting scared with monstrous creatures can be really thrilling and engaging. King Kong, Dracula, Frankenstein, the Wolf Man, the Mummy, the Invisible Man, the Phantom of the Opera, and Godzilla constitute a representative sample of the inhabitants of the pantheon of movie monsters. Protagonists in these films may also include characters derived from folklore tales (Bigfoot or the Loch Ness Monster), “nuclear paranoia” creatures (The Beast from 20,000 Fathoms), Japanese Kaiju (Gamera), vicious animals, mutated beasts, carnivorous insects, and dinosaurs. Sci-fi inspired monstrous characters include aliens, robots, cyborgs, and mad scientists’ experiments gone wrong (normally harmless animals, plants or machines turned into cold-blooded killers). Max Steiner’s breathtaking, timeless orchestral composition was the first film score ever written for an American “talkie”. The film tells the story of a gigantic ape creature who dies in an attempt to possess a beautiful young woman. Because his actions were not entirely based on choice, and were in fact the consequence of circumstances beyond his control, the monstrous island-dweller has elicit an outpour of empathic feelings from film viewers. 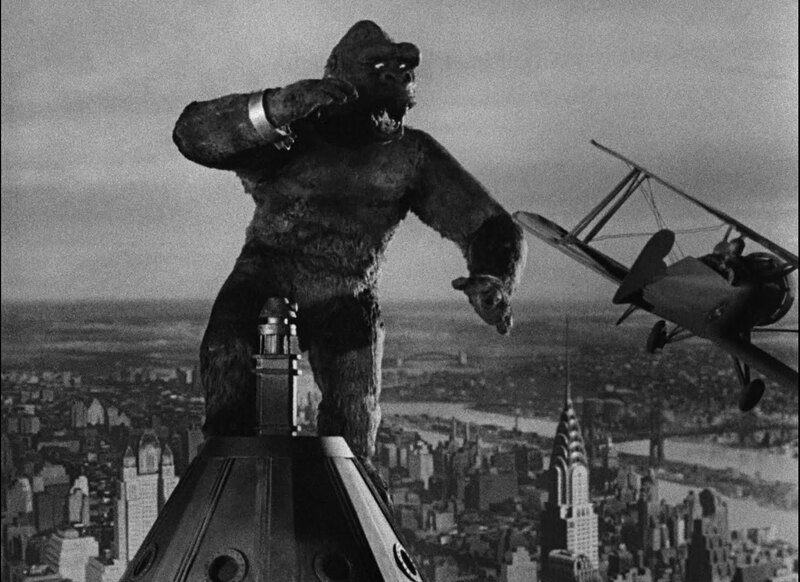 King Kong has become a landmark in the history of cinema, and one of the world’s most famous movie icons. “It’s Alive!” (Frankenstein, 1931) is the most legendary horror movie quote. Dr. Frankenstein creates a mate for his monster in the famous sequel Bride of Frankenstein (1933), considered by most at least an equivalent and possibly a superior film. The famous character portrayed by Boris Karloff was introduced to us in a film with no original score, but the sequel was blessed with a Franz Waxman’s early film-music masterpiece. Gothic literature elements of horror and romance percolate thought-out the score. The wonderful melody beautifully captures the sinister side of the human soul. This extremely influential composition is considered a cornerstone of horror film music. The John William’s theme for this movie is the most recognizable horror score of all time. Going to the beach has never been the same for most people after watching the Steven Spielberg ‘s ultimate animal terror film. He also penned the beautiful and thrilling score for Jurassic Park. Jerry Goldsmith’s chilling, and otherworldly atmosphere of the alien ship and its monstrous inhabitant is reminiscent of his prior landmark score for Planet of the Apes. Along with the vacated Alex North’s original recording of Stanley Kubrick’s 2001: A Space Odyssey, it was one of the most requested and coveted soundtrack restorations. The complete original score for this monster film set in deep space was released in 2007.